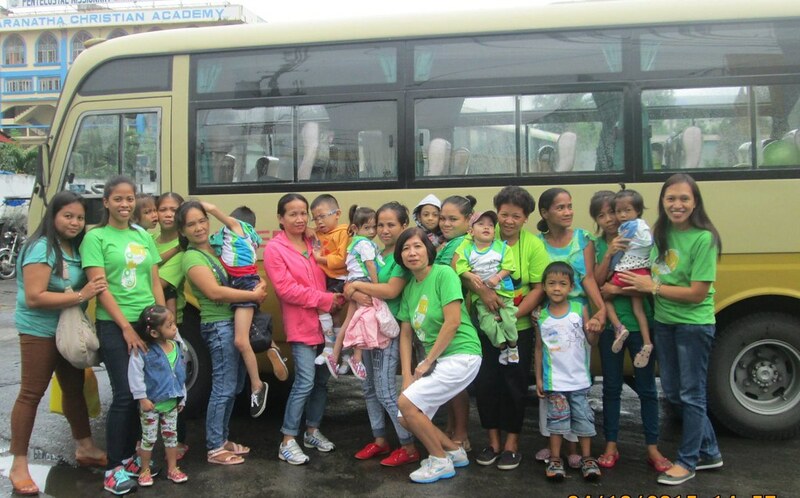 Building inclusive communities and serving other children with special needs, Autism Society Philippines' Laguna Chapter joins in the celebration of World Cerebral Palsy 2015. The event happened on October 4 at Ortigas Avenue, Ortigas Center, Pasig City. It was hosted by Hong’s Children Center for Cerebral Palsy, one of ASP Laguna’s partners. The celebration began at 6 am for the registration of “Walk, Bike, Stroll”. There were different race categories: Category A for kids who will use stroller or bike or carried by a caregiver, Category B for kids who will use stroller or use bike or carried by a caregiver for at least 10 meters towards the finish line and Category C for companions who will walk with or without the kid. For categories A and B, the participants would race for a kilometer while participants in category C would race for at least 5 K. Assisted by ASP staff (Ms. Deborah Klaudine Sanchez, Ms. Vay Chavez and Ms. Cathy Lopez), Laguna participants were privileged to be invited as they enjoyed face/body painting, photo booth, pop-up bubbles and lots of freebies. It was followed by a forum, which was welcomed by Mr. Jung Sun Hong, PT, MPH (Bobath Senior Pediatric Instructor, Hong’s Children Center for Cerebral Palsy). Faith Aclaro (grandmother of child with cerebral palsy); Antonio Dennis Ilagan (Founder, Cerebral Palsy Association of the Philippines); Jan Katherin Rabano (Occupational Therapist with cerebral palsy); and Ms. Carmen Zubiaga, (Officer in Charge, National Council on Disability Affairs) shared information during the forum. “It was my first time to join in such activity and I learned so much from them. They served as an inspiration to us mothers”, reiterated by a mother. “ I wouldn’t thought that there were successful persons with cerebral palsy who have finished a degree though faced with so many challenges in life. The grandmother who shared that her granddaughter who were born same size as that of a huge rat would survive. It was”Faith in God” that keeps the family going”, expressed by another parent. The event was concluded by a free medical check-up and children were given free medicines. The ASP Laguna Chapter appreciates the efforts and the help extended by Mr. Jung Sun Hong and the therapists for the services provided to the indigents for almost three years. The chapter is also grateful to HM Transport, Inc., headed by Mr. Homer Mercado, who sponsored a coaster to ferry the participants. We also express our gratitude to Mr. Gerry Yambao, Jorge Filamor II, Chief Operating Officer and Mr. Bernard Limosinero, VP Operations for the prompt facilitation and the driver, Mr. Buddy Rimerata for a smooth and pleasant travel. About the author: Ms. Catherine L. Lopez is a mother of a young adult with autism studying at UP Los Baňos. She is the Job Coach for the office and messenger services of Autism Resource Center. She also serves as the President of ASP Laguna Chapter.